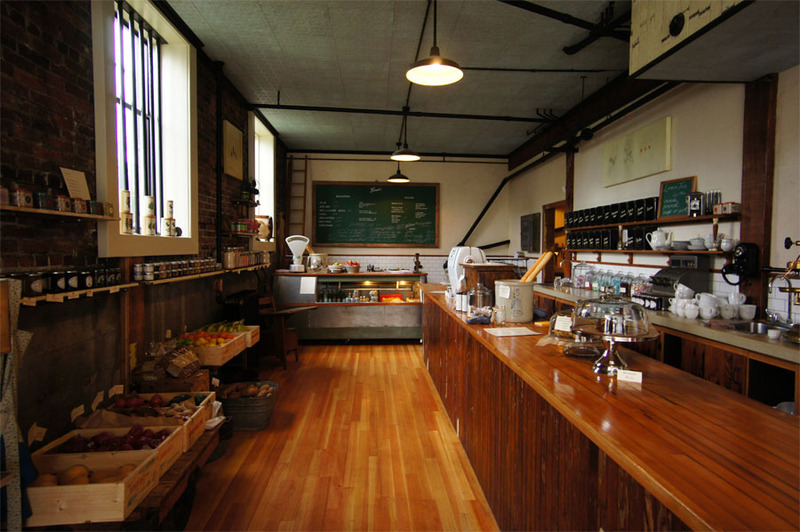 "Market + Cafe + Strathcona"
Finch's Market is the second location of the popular Finch’s Tea & Coffee House on West Pender Street. Like the original location, this space was designed and built by the owners with an amazing attention to detail. The same precision goes into their baguettes which come with layers upon layers of fresh ingredients including: pear, avocado, prosciutto, Gypsy salami, blue brie, Applewood cheddar. They also serve breakfast in the morning until 11:30AM. 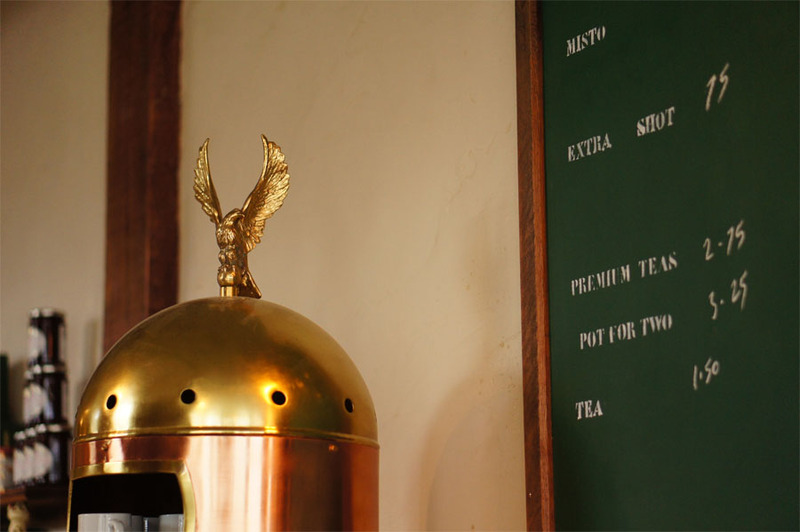 The cafe uses their own packaged organic direct trade coffee called "Proper Espresso" prepared on their beautiful Elektra Belle Epoque espresso machine. And there are also over twenty different teas available to try. 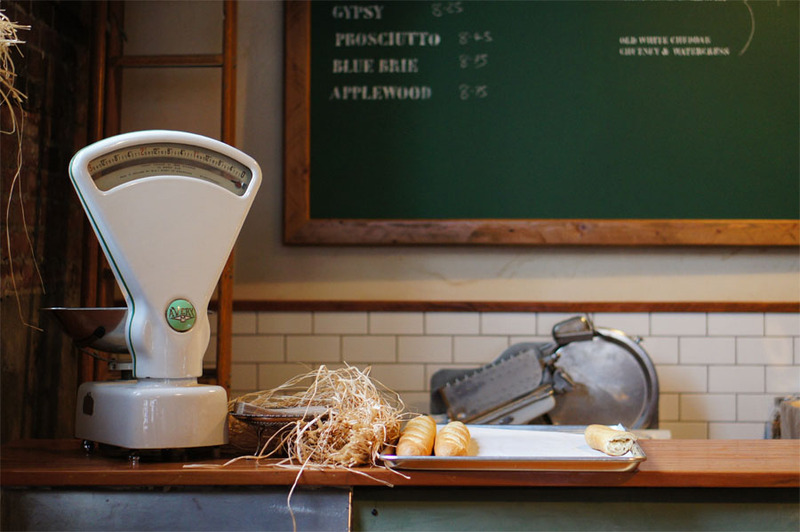 Finch's also carry a selection of produce, dry goods and other deli items many of which are used in their menu. The Jackson Apartments building at 501 East Georgia that houses Finch's Market was built in 1910 with the design by architect EE Blackmore. Blackmore also built the demolished Pantages Theatre while the Model School on Cambie Street was integrated into the City Square shopping mall development. If you look closely at the fridge, you'll see "GM" behind the Frigidaire logo with "Made Only by General Motors" below. A co-founder of General Motors, William C. Durant, personally invested in the refrigerator company in 1918 and later sold the company to GM. 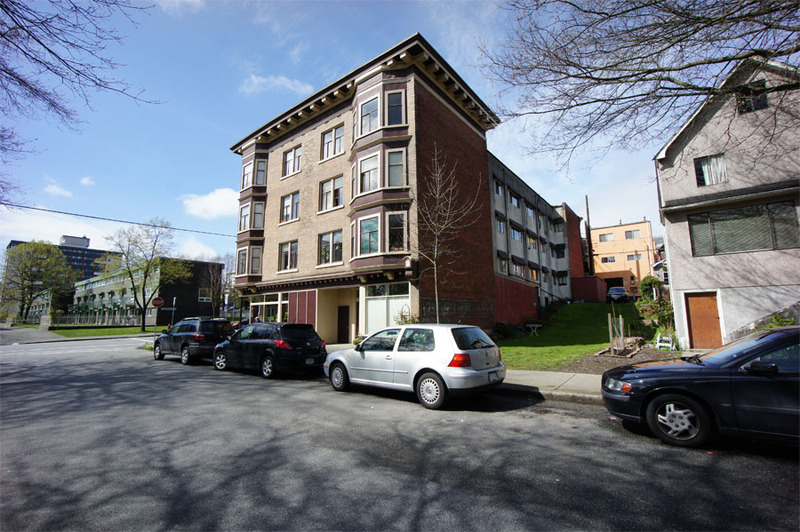 Across the street from Finch's Market is the Maclean Park Housing Development which was one of the only completed parts of the envisioned urban redevelopment program to redevelop Strathcona demolishing neighbourhoods to make way for social housing units. The tower and group of maisonettes directly facing Finch's Market were the first section of the development built on land from the the original Maclean Park. On the corner of Jackson and East Georgia in Strathcona. 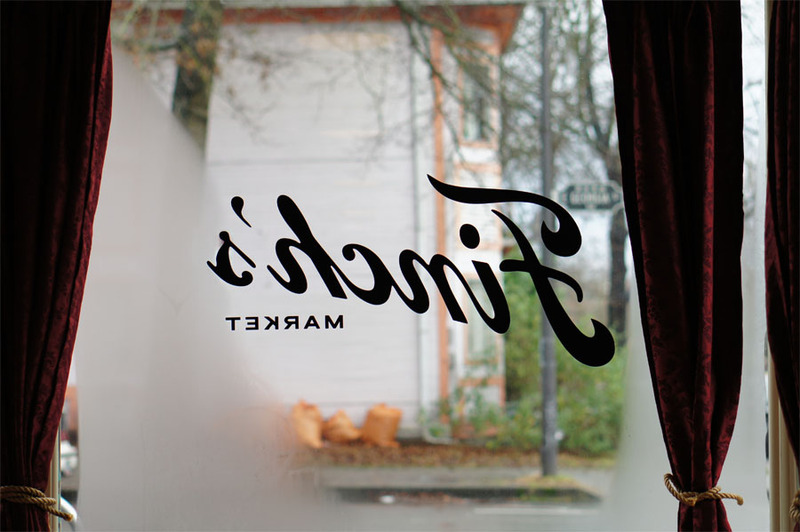 "With its warm and welcoming design and relaxed atmosphere, Finch’s Market is certainly a much-needed addition for the residents of Strathcona, as well as a worthy destination for those in search of a cozy lunch spot or a sanctuary from the slick coffee franchises that dominate." "I want a Finch’s Market on my corner. Damn – I’ll even settle for one anywhere in Seattle. Until that happens (if it ever does), I’m gonna have to make a regular trip to Vancouver to hit up this neighborhood spot. "